Per the Hollywood Reporter (the leading American publication on the film industry), Kim Ki Duk's film , Human, Time, Space and Human, has already had its' film distribution rights sold in several countries. The distribution rights held by Finecut, a Korean company, sold the film's distribution in several countries, even before the film had premiered. These early sales indicate the Kim Ki Duk's prowess as a director and producer as well as the international interest in this film which is being heralded as a departure from his earlier works while still holding to his signature exploration of human nature and the questions he raises with his films. "Human, Space, Time and Human, the latest feature by the Venice Lion-winning maverick filmmaker, has sold to Norway (AS Fidalgo Film Distribution), Japan (King Records) and Greece & Cyprus (Danaos Films). Described as "a meditation on the human condition" by Finecut, the film revolves around a small group of people from all walks of life who embark on a journey to the sea. After spending days indulging in alcohol and lust, the voyagers find their lives at risk." Let's all hope the film is distributed elsewhere around the world. As with virtually all of Kim Ki Duk's films, it will make a huge international splash with reviewers marveling and wondering both over the script and at the thesis of the film. 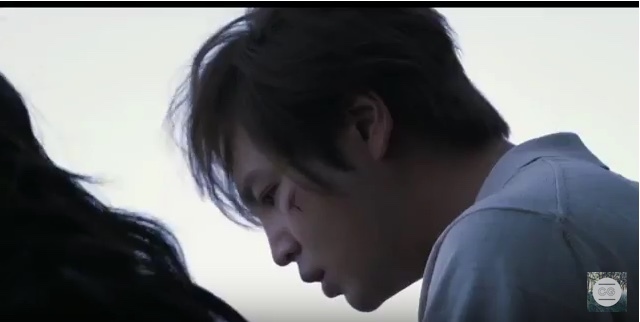 As such, this film could easily propel Keun Suk into international stardom...or at the very least cause him to be an actor worth noting on the international stage as well as at home in Korea. Several of Kim Ki Duk's leading actors in previous films have become highly sought-after actors in Korea and have now accepting roles in films produced outside of Korea (i.e. Hollywood).